The Asian Institute of Management (AIM) has launched the country’s first data Science corporate laboratory named Analytics, Computing, and Complex Systems Laboratory (ACCeSs@AIM). ACCeSs@AIM aimed to become a center of excellence in data analytics, artificial intelligence, machine learning, and computational modeling. Also, it eyes to help various industries, government agencies, and other sectors in addressing critical issues and pain points. 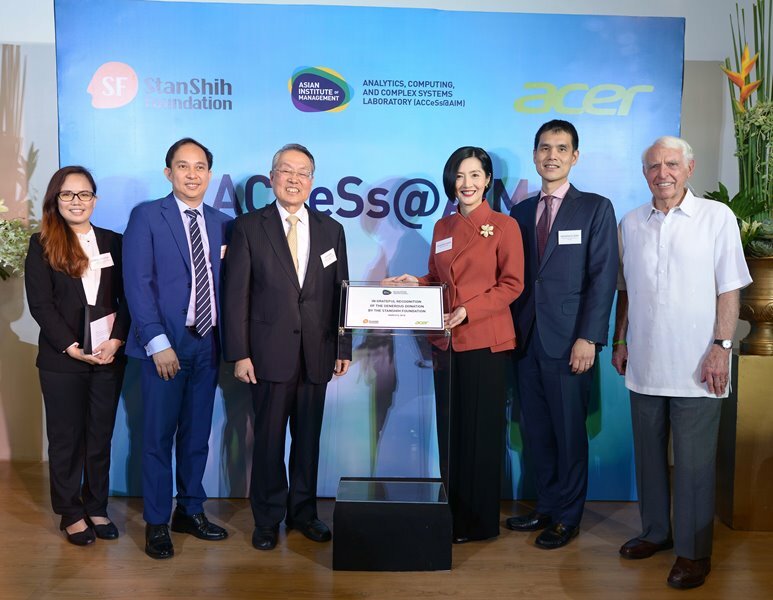 Together with the country’s top data scientists, ACCeSs@AIM shows AIM’s commitment in boosting the growth of Asian businesses, societies, and the Philippine economy. Meanwhile, a major feature of the lab is an Acer supercomputer, which ranks among the fastest in the ASEAN region. It was donated through StanShih Foundation, led by Acer Founder and Honorary Chairman, Stan Shih. Moreover the Acer supercomputer has computing speeds of up to 500 teraflops and a capacity of 500 terabytes. "Data science turns these complex pieces of information into an organization's competitive advantage, so we need to cultivate this skill in future business leaders. This supercomputer powered by Acer is a major tool in addressing that gap for today’s students. Aside from supporting the academe, this instrument also aims to fuel the practice of established data scientists.” Shih addressed. With this, AIM is more likely to create a highly skilled workforce – data science leaders.